Like athletes running on turf versus sand, the gel you run your DNA through can highly affect your results. 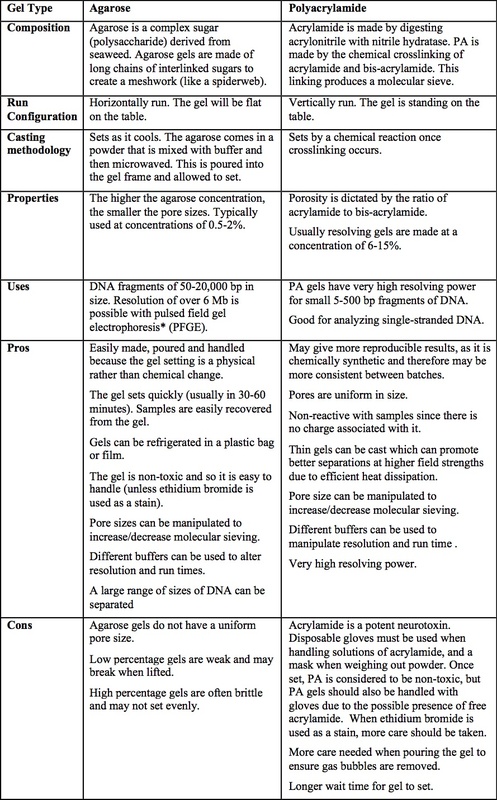 The two main types of gels that people use for DNA electrophoresis are agarose and polyacrylamide (PA) gels, but figuring out the differences can be confusing. Basically, you choose a gel based on two main factors: how high you need the resolution to be and what is in your samples. To make the choice simpler, I made a handy chart describing the differences between them. *Pulsed field electrophoresis is a technique in which the direction of current flow in the electrophoresis chamber is periodically altered. This allows fractionation of pieces of DNA ranging from 50, 000-5 millon bp. 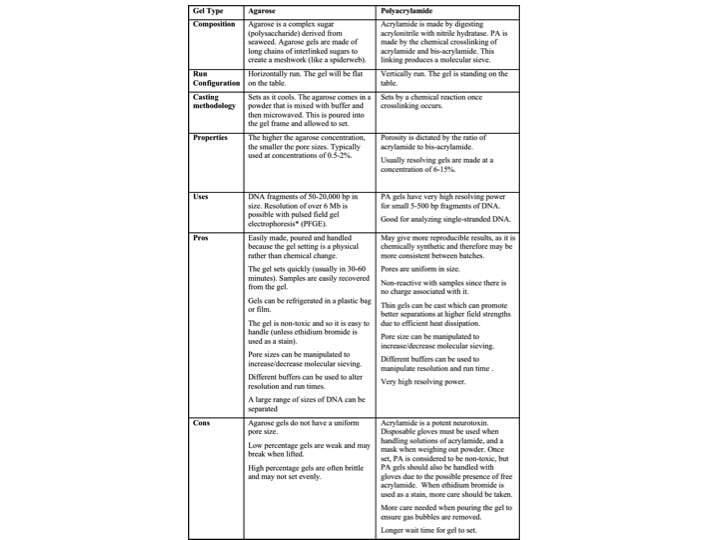 Use this chart to help you understand the differences between the two gel types and your samples will be running like athletes in no time!